It was a very exciting day for us at Hearth. 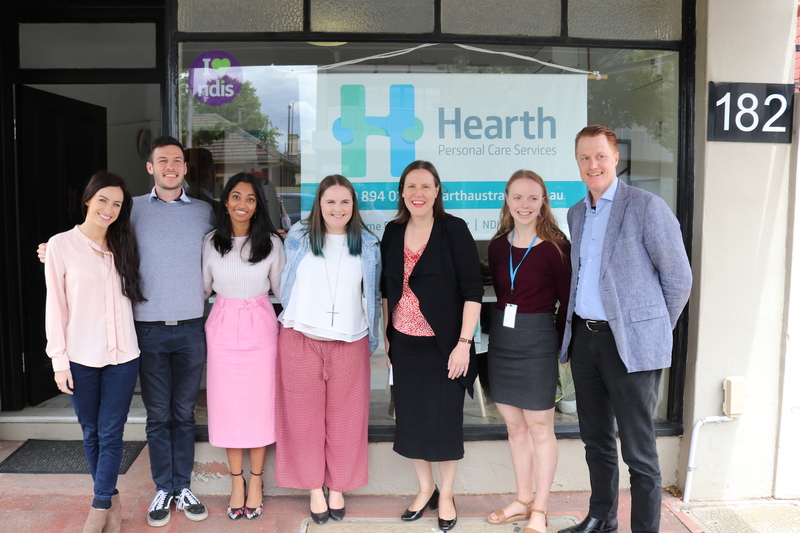 The Honourable Kelly O’Dwyer, Federal MP who is our local Member for Higgins, paid us a special visit at the office. It provided us with a fantastic opportunity to introduce ourselves, tell her about the Hearth story and talk about our services. 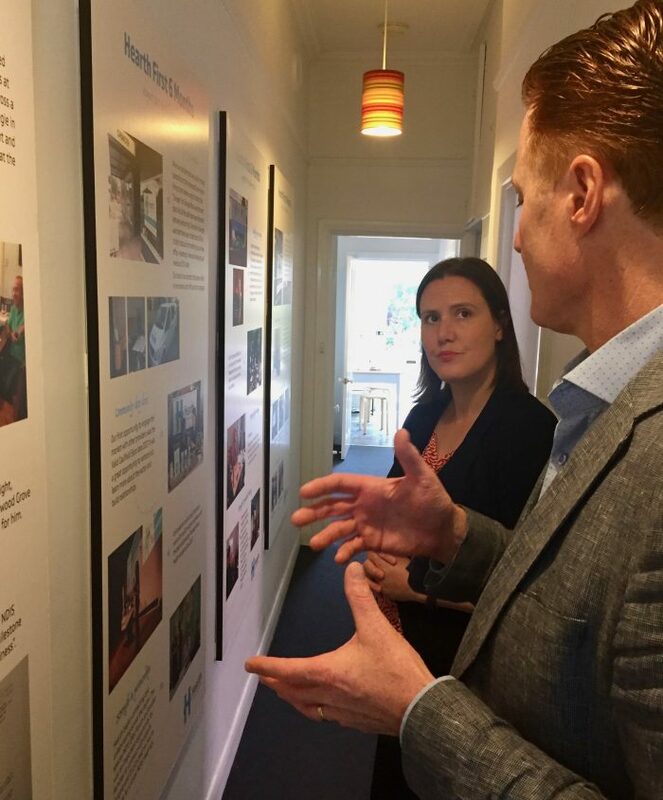 Minister O’Dwyer said she was very interested in how Hearth is evolving, led by CEO Justin Scanlon. “It’s great to be here and hear about the personal journey and to recognise the expertise and skills you bring to a critical area of community need. “It’s absolutely vital, what you are doing,” she told the team. Kelly O’Dwyer is the Federal Minister for Jobs and Industrial Relations. She was very keen to know about how Hearth recruited support workers, provided training and created career pathways to employment. During the discussions, members of the Hearth team discussed some of their own experiences of family members living with a disability. But she said she also knew that it took time and effort to find the right support workers for individual cases. Justin Scanlon said it was great to have a conversation about our collaboration in the sector. 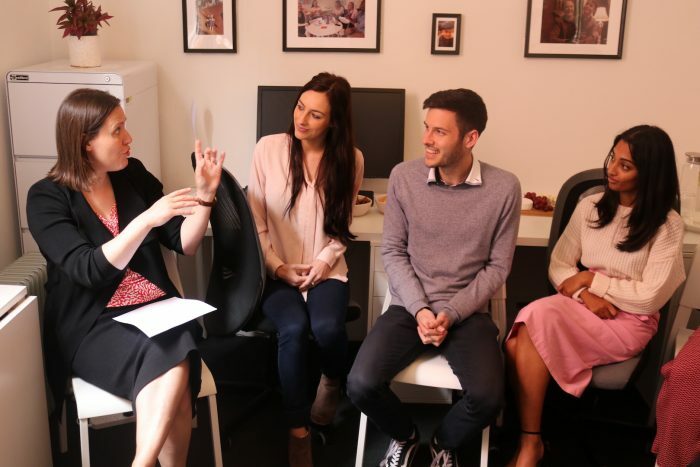 When discussing collaborations, Minister O’Dwyer also mentioned other organisations such as Very Special Kids and Malvern Special Needs Playgroup working in the area. Relationship Manager Nellie Godwin said it was good to know that the Minister knew about important local services. Just before the Minister left Hearth, the team were particularly keen to show off a painting by Carla Velari. 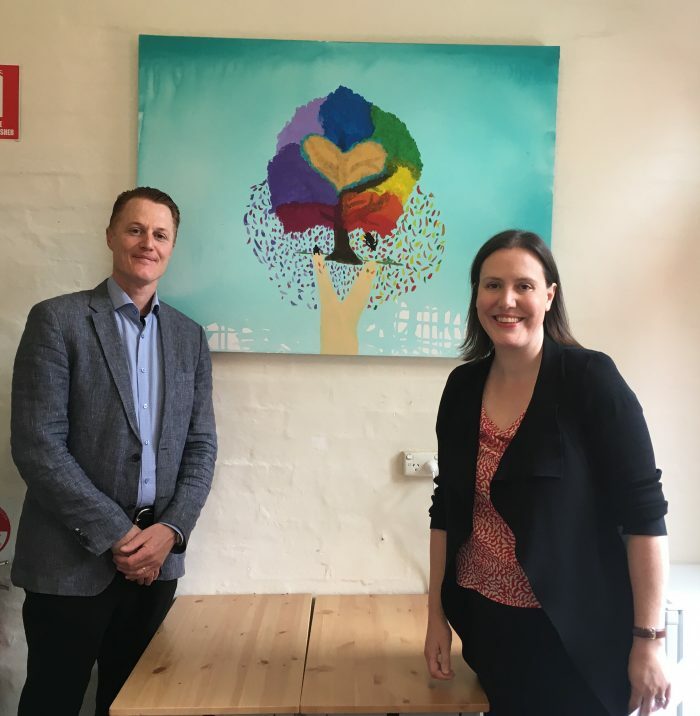 Relationship Manager Rashmika Suresh , who commissioned the painting said, “it’s meaningful to have at Hearth, a work painted by someone we support. Thank you for you message. One of our staff members will be back in touch within 24 hours.